Life has been busy again and trying to squeeze in some winter sewing to my spare time has left little time for blogging. 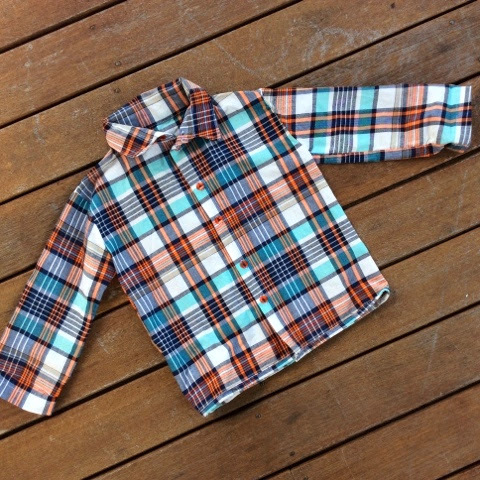 http://www.smalldreamfactory.blogspot.com.au/2011/07/free-pattern-short-sleeve-shirt-size-12.html. This long sleeved version has turned out well, although I found I needed to add to the length of the pattern for it to fit my son. 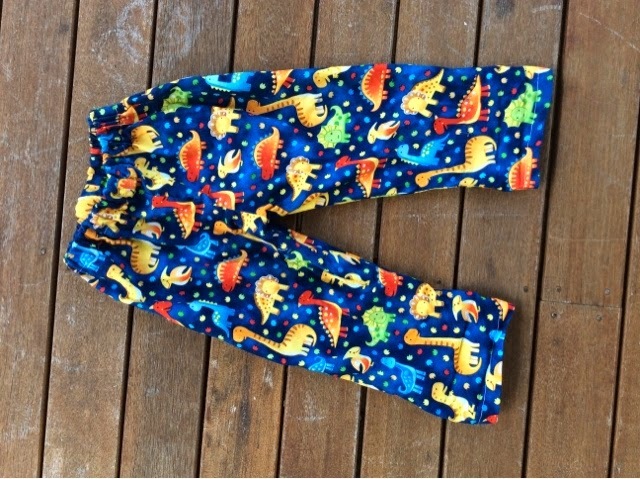 I made my son a pair of pants out of this fabric last winter and decided to make another this year as they were just so cute. I really get tired of shopping for winter clothing for boys and only having the choice of grey, black and navy blue. We need the bright colours more in winter! 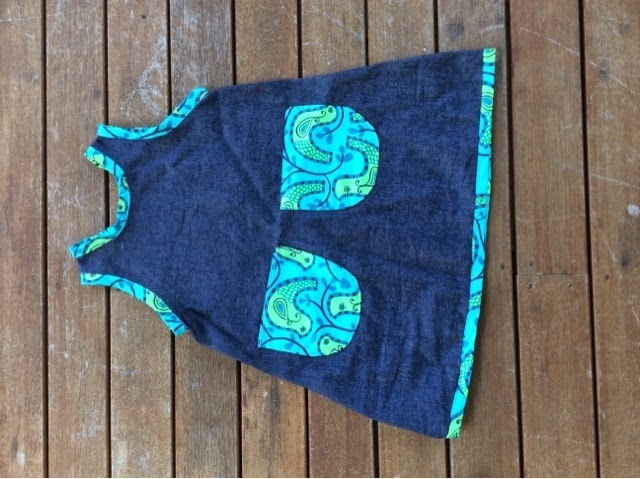 This little dress is made from my toddler pinafore dress pattern, found here in my blog. Adjusted of course to fit my growing girl. I bought this cute bright green and turquoise bird fabric ages ago with such a dress in mind. She loves it, especially the pockets (where her hands now live ;)). 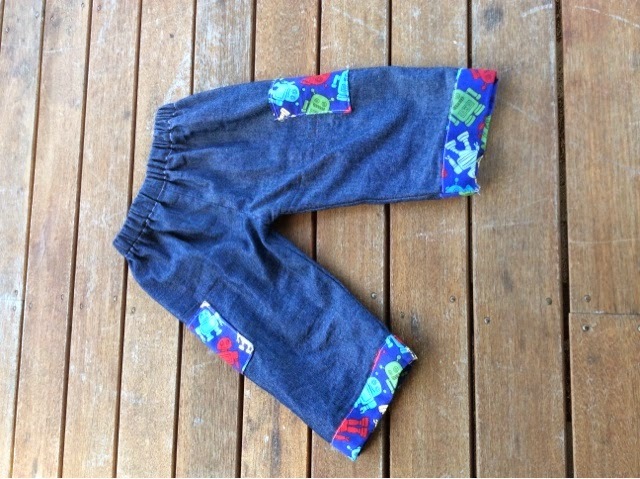 These little pants turned out great. Just a simple pattern cut from an existing pair of pants, but simplified by making the front and back pieces the same (just like in my baby pants pattern on the blog). Trimming with the robot fabric really brightened them up. So cute and so comfy. I love how being able to sew clothes for my kids really brightens up their wardrobes with unique pieces. As basic clothes are now so cheap to buy, it's lovely to be able to hand make the more special pieces and you really can save money by doing that yourself.